"This isn't an adventure. This is barely a ship, and you're hardly a man." 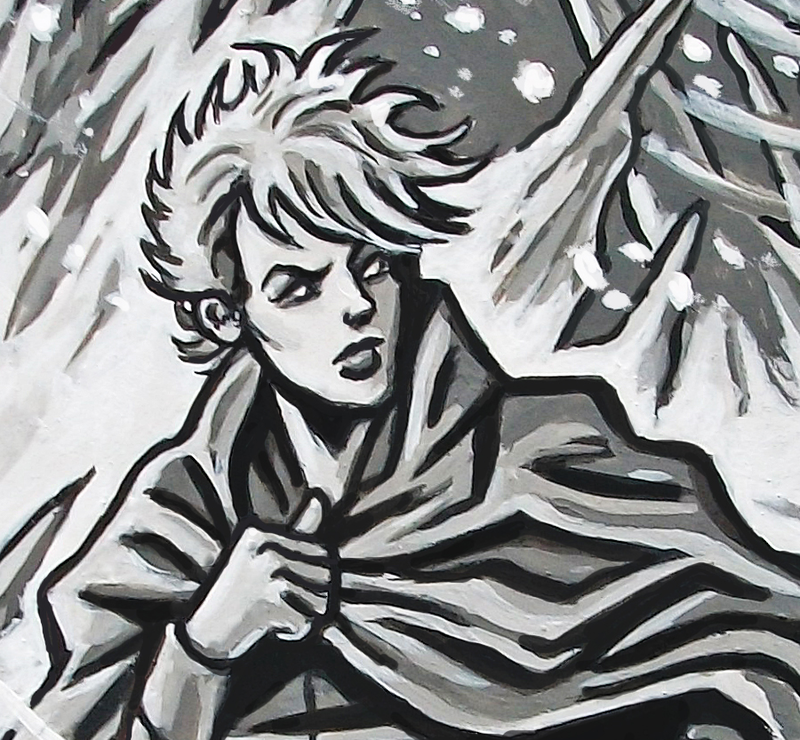 Heir to the noble Broadchest line, Gwen is a rebel without a pause as she plunges head-first into adventure with Captain Dashworth's crew aboard the ramshackle Jolly Good. 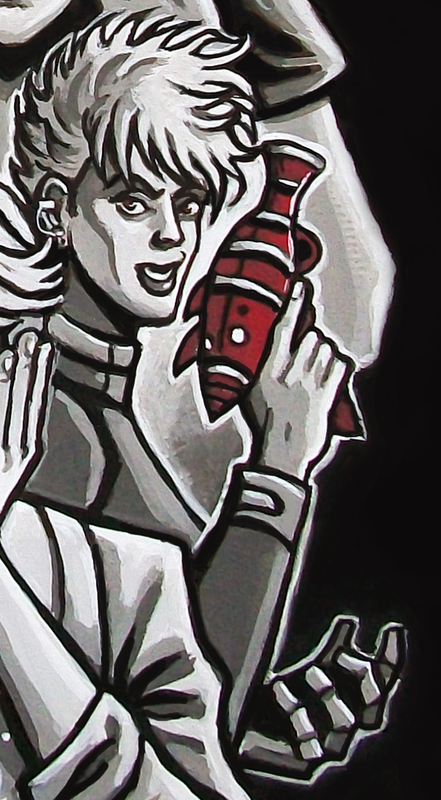 Keen to escape the pomp of the Royal Space Navy, Commander Broadchest looks to broaden her horizons while narrowly avoiding sheer peril and almost certain boredom. She's nothing like Dashworth. Honestly. Ask her. Nothing alike. She's dutiful and long-suffering, and only gets into trouble and adventure because of everyone around her. She knows exactly who she is; the rest of the universe just hasn't quite caught on yet, and keeps trying to pen her into different categories. Gwen is an anarchic spirit pressed into an officer's uniform, and not only a runaway from the Space Navy, but a woman who takes the largest possible strides in order to get out from under her father's shadow. The Broadchests are a well-respected and illustriously blood-soaked family of the great British Empire, and none more so than her father, the General Broadchest, whose opinion of the total annihilation of a planetary species is that it looks good on a C.V. Gwen wants more; to escape out into space—and, dare she say it, maybe a little adventure too. Serving aboard the hydrogen trawler Tumbleweed, Gwen was forced to sweep the bilge and muck out the eliops until the ship became caught in a concordance of black holes during a pirate attack. Attempting to save several members of the crew, Gwen lost her left arm, followed by consciousness, during the incident. Fleeing London aboard the Jolly Good by posing as a Royal Navy commander, Gwen accompanied Captain Dashworth on his star-making adventure to Vorgak 3, and was commissioned to undertake missions on behalf of the Crown. As Christmas loomed, Gwen found herself in the doldrums, forced to contend with Benson's cheery festive spirit and an abundance of tinsel while desperately seeking adventure.